At first they arose out of our collective need for re-connection and rest from our energetically demanding young families... later manifesting from our heart's realization that this space together was sacred... magic. Gatherings shape-shifted with the women present. Sometimes a bustling 15 women gathering resulted in lively evenings of music making and raucous laughter, while others were smaller and filled the heart in ways only quiet intimacy can. All gathering were a celebration of food.... the literal food we joyfully and thoughtfully prepared for one another, and the metaphorical food... our stories... our beliefs... that we feed our hearts and minds. I belong in the circle! I am grateful to have the opportunity to share my family cabin and land for our gathering. 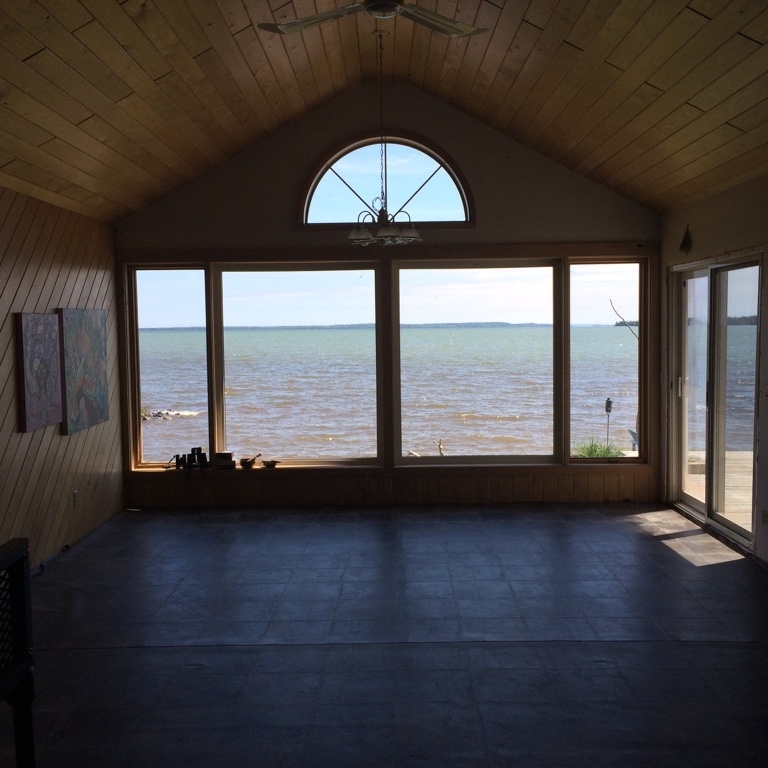 We are located on Portage Drive, a few kilometers past Pass Lake, Ontario, right on the shore of Lake Superior. Payment plans available... go ahead and register! 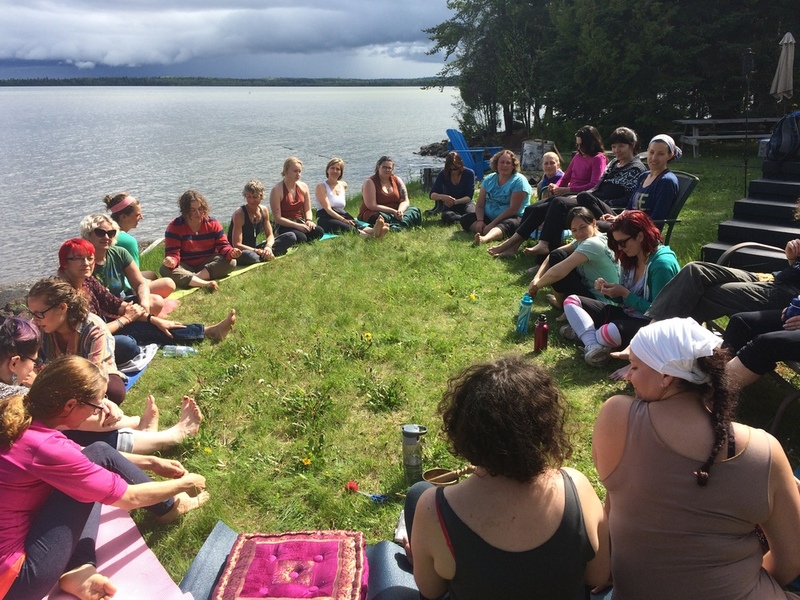 I recently received an email from a woman reaching out to me as a community builder, describing her longing for intentional community and a conscious circle of women to connect to. Of course, I empathized with her longing, as it is mine own as well. Truly, that longing in my own heart is the very inspiration for every circle I call, for every class I lead, for every song I sing. It is in the calling together of conscious community that my heart finds peace along side yours. I believe that in community we reflect to one another that which enables our becoming. I believe in your wisdom and the keys which it may hold for us all. I believe that in community we unfold over and over again. I am so excited to have wise woman, and soul sister, Isabelle Garceau joining and leading us through a workshop called, Awakening the senses: a journey through dance and movement, for opening to sensuality and Life force energy retrieval! Creative and natural facilitator, passionate by humankind, Isabelle has created and collaborated on several personal development training programs and creative processes in social and community context and schools . She is therapist (Shamanic and Ancient Healing Art) and focuses on the curative and transformative aspect of dance and movement. Driven by the rhythm, she plays the drum, sings and knows how to create captivating musical waves which support the movement and emotion. Isabelle creates, leads and facilitates workshops and creative rituals and provides powerful process that lead us to the heart of our essence to unify the mind, body and spirit.